If you've been a long time reader of this blog, you may notice that I have a thing for SK-II. I wouldn't say that I would eventually want to try out all of the products in their line (since not everything interests me), however, I do have a secret wish to explore more than the usual amount (you may read my review on the cult favourite SK-II Facial Treatment Essence here) given that I am a skincare junkie and tend to move on to brands rather frequently. Since using up the SK-II Stempower, I was debating on the next moisturizer to pick up. Coincidentally, I had the opportunity to travel for a work trip and while at the airport's duty free, I couldn't help to pick up the SK-II Cellumination Deep Surge EX after much debate between this or Clarins (you can read my story here about the main reason that I decided on the former eventually). Some considerations which are always important to me about a moisturizer are, aside from keeping away the dryness, what are the additional benefits that it provides? Whether it is brightening, improving skin elasticity/texture, or overall anti-aging, it only makes sense to me to invest in an expensive product if they are able to bring such additional benefits to the table. With claims to be "infused with an advanced whitening complex Aura Bright Cocktail EX with Pitera, it claims to be able to deeply hydrates and evens out skin and boosts its luminosity. The product also claims to minimize dullness and appearance of spots to reveal the skin's natural translucent glow with every use". The product itself comes in a lightweight and lightly scented gel like cream which is easy to blend into my skin. After using up the entire jar, I must say that I do enjoy how lightweight the product is and how quickly it absorbs into my skin. I also find that the product gives a cooling sensation upon application which is always great in early mornings. That said, the million dollar question remains as, how true are the claims? After applying it religiously over a month, I did see a gradual improvement in my skin's radiance. However, the claim that the product minimizes the appearance of spots, unfortunately, this is again a product which I did not notice any improvement for my long term pigmentation. The hydration which it provides didn't give off the "Wow" effect, but I would say that it definitely gives the right amount of hydration that my skin needs. Overall, this is not a "Must Have" product for me and I would only recommend if you have an extra budget and is in search for a high end moisturizer since the product is rather pricey. I purchased 50g jar for a whooping S$148 at Changi Duty Free while the normal retail price for the SK-II Cellumination Deep Surge EX is S$199. On a side note, the 50g jar lasted me for about 6 months (for daily day and night application). 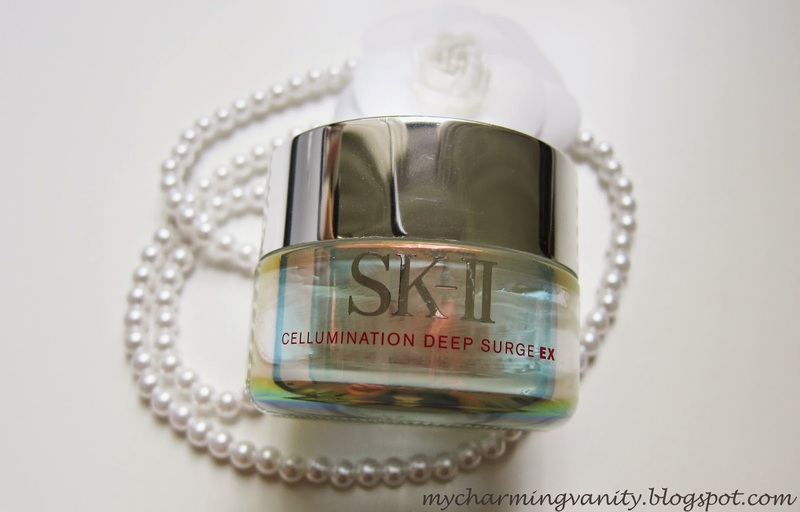 Hope that this help as a guide if you are looking into purchasing the SK-II Cellumination Deep Surge EX as your next moisturizer.